The race for Penguins Cup and Division-2 playoff positioning is heating up! 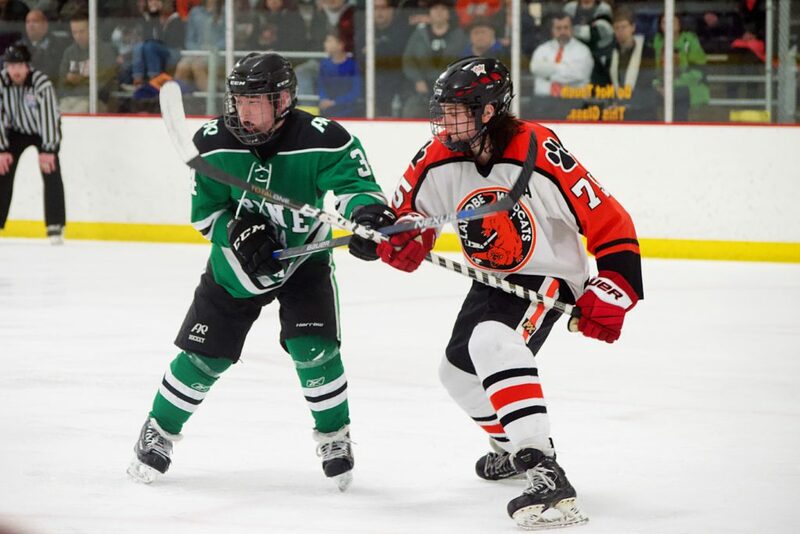 Here’s what you need to know going into week 18 of the PIHL season. NOTES: All first-round home games are subject to ice availability, and in the event of a neutral-site game the team that is the ‘higher seed’ is considered the home team. In AA, if two teams are tied for fifth in either division, they will play a tiebreaker game at a neutral site and the ‘home team’ will be decided by coin flip prior to the game. Any ties that are broken by the tiebreaker for penalty minutes (PIM’s) will not be declared until the team with the lesser amount finishes their season. No. 8 & 9 play a play-in game at a neutral site. Peters Township, Bethel Park, North Allegheny and Mt. Lebanon clinched the top four seeds. 4/5 seeds play opposite conference play-in games in to the quarter-final at a neutral site. A tie for 5th requires a play-in game between the tied schools. Pine-Richland clinched the No. 1 seed in the Northwest and the best record in AA. Upper St. Clair, Mars and Greater Latrobe clinched a playoff berth and a first-round home game. Hempfield, Franklin Regional and Moon clinched playoff berths. Quaker Valley clinches a playoff berth with a win or an overtime loss. Baldwin clinched the No. 5 seed and will play the No. 4 seed in the Northwest the week of Feb. 25. Top eight teams in the North qualify. Sewickley Academy and Fox Chapel each won one game in regulation in the regular season, and are tied in wins. Third tiebreaker is less penalty minutes, or PIM’s. Currently, Sewickley Academy has 230 PIM’s, Fox Chapel 152. Fox Chapel sits in the No. 5 seed. */**Bishop McCort, Wheeling Park and Wheeling Catholic are ineligible for the postseason. Norwin currently holds the head-to-head tiebreaker with Westmont Hilltop, with the final game to be played on Feb. 21. The single-A postseason is a bit complex. The North will remain its own division and be ranked 1-8 as per the points standings. The South and East will be combined, with the top two teams in each of the divisions guaranteed a spot in the postseason. The final four teams will be the teams with the highest point totals in the South and East regardless of division. Those eight teams will then be ranked 1-8 based off of the point totals. All tiebreakers will be consistent with the PIHL rules. The first round will see the two ‘divisions’ play each other. The top four teams will face the bottom four teams of the opposite division in the format of 1v8, 2v7, 3v7 and 4v5. There will be no re-seeding. South Fayette, Meadville, Thomas-Jefferson, North Hills, Indiana, South Park and West Allegheny clinched a playoff berth and a first-round home game. Norwin, Westmont Hilltop, Freeport, Sewickley Academy, Fox Chapel, Greensburg Salem and Chartiers Valley clinched playoff berths. Top eight teams qualify. Ringgold swept Connellsville in the regular season and sits in the No. 2 seed. Burrell clinched a playoff berth, a first-round home game and home team privileges throughout the D2 postseason. Ringgold, Connellsville and Neshannock clinched a playoff berth and a first-round home game. Carrick and Central Valley clinched playoff berths. Morgantown clinches a playoff berth with a win or an overtime loss.